What is the problem rescue organizations ? Thread: What is the problem rescue organizations ? New to the forums and this is my first post. Sorry of it is too long. I guess first a little background on our dog owning experience. My wife had a Border Collie whom she adopted from a local shelter as a pup and become our Border Collie when we got married. She lived to about 14 years of age until cancer and old age forced us to euthanize her, to this day I miss her dearly and wsh she was still by my side playing with me. She never saw a bad day and was always loved and loved us back unconditionally. In that time we also had two cats that each lived to about 15 years of age until renal failure set in. Our dog and our two cats never saw a bad day, they were always loved and cared for and never ignored. They were part of the family and we never really thought of them as pets per say although we were never the crazy dog or cat people. We knew that in order to have healthy pets you need to be realistic as to how many there can be in a home. Anyway, we euthanized our last cat about two years ago and have decided that our daughter who is now 13 and loves dogs needs a companion to call her own. We are looking for a mellow adult dog such as a Lab Mix that is house trained, calm and loving but also would like to go out on longer walks such as a mile or two or running if the weather permits it. 1. "oh, you mean someone will not be home every single day all day with the dog?". 2. "Oh, this dog needs someone to be with him every moment of the day". "Is it possible to maybe work from home or get a different job or maybe one of you can just stay home?". 3. The best is how many hours will the dog be alone. Well since my wife and I both work realistically seven. "Oh, oh my god, no the dog will think it has been abandoned again, someone has to be home with it most if not all of the day!!!". 4. When asked how many times the dog will be walked we explain: "The plan is to walk the dog early around 5 AM when I get up, my wife and daughter will walk the dog again around 7AM for about 30 minutes before they leave for work and school, then when they return around 3:30PM or 4PM they will walk the dog again for 30 to 45 minutes. After dinner we'll take the dog for a walk and again before bed time. Weather permitting and if the dog likes it I plan on taking it running with me so that will give the dog a three or four mile run. I understand that not all dogs are into 3 or 4 mile run so that has to be gauged. If the dog wants to only do a mile or less I planned on altering my route to pick the dog up for the last mile and have it run with me. A few times all of a sudden they "forgot" that the dog was promised to someone else even though we had planned to meet him or her, or the rescue just runs away once we start asking questions about the dog. I feel that if they can ask questions regarding our family life, ask for references and visit our home we should be able to ask in-depth questions about the dog. Correct? So, =is this typical with dog rescue orgs, are we doing something wrong or are they just nuts? I'm not about to make a 10+ year commitment, especially with our child being involved without asking questions. Then on the other hand these are the same dog rescue orgs that see at local pet adoption days literally throwing dogs at people who walk into the store. It almost seems as if these orgs are being unrealistic as to what to expect with people who make a living. What bothers me most is that six months later they still have the same poor dog up for adoption because they can't "find a home for the dog". It not like either myself, my wife or our daughter are scared of dogs. We were over a friends house and our daughter was playing with their two fully grown GSD's the entire time. This experience has frustrated my wife and I as well as our daughter to the point where I see why people go to breeders and dump the rescue orgs which unfortunately dumps the dog. Re: What is the problem rescue organizations ? I can totally sympathize with your situation. My husband and I wanted to adopt a rescue dog. We were looking for a small hypoallergenic type dog as my husband does have some allergy issues. I put in numerous general applications with some of our local rescue organizations. Most of them never even bothered responding. The one that did process my application told me as the pups came in, she would keep a lookout for one that matched my criteria and contact me. Yet, I would see puppies posted on their facebook page that were adopted yet I never was contacted. I also put in several applications for specific dogs that I found on petfinder. Some I never heard back from and others told me that the dog had already been adopted. I know people always say adopt, don't shop. But after my experience, I can see why people choose to go to a breeder instead. For us, trying to adopt a rescue dog was a very unhappy experience. We became so frustrated that we decided to go the breeder route. But be warned that some of these breeders are not very good at getting back to you either. 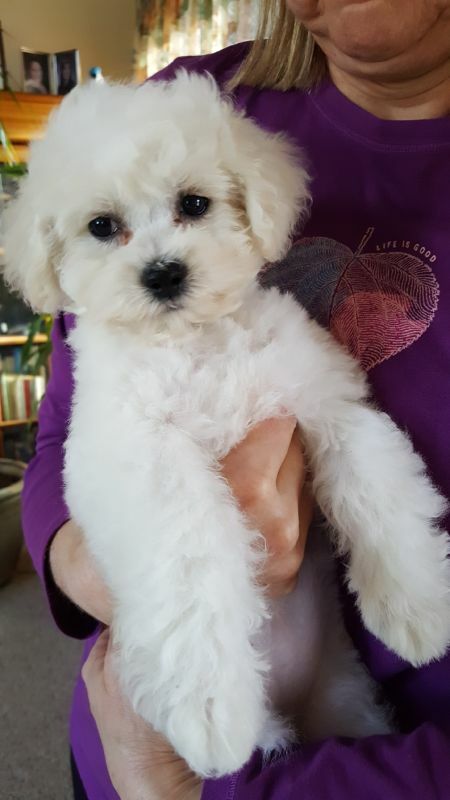 We finally found a breeder that was willing to work with us and will be flying out to North Carolina next weekend to pick up our puppy. I sure hope that you will have better luck than we did in finding the perfect dog. Thank you for your reply. I agree with everything you stated, my wife and I were speaking and it has come to the point where she even said that we should go the breeder route and mind you our Border Collie came for the local shelter. The problem is finding a local ethical breeder, flying out of state is not an option due to time restrictions. Is it me or do these dog rescue orgs seems to be almost fronts for dog hoarders? There is one dog being fostered not a half a mile from us who seems to be a good match. I spoke with the rescue maybe two weeks ago and it's the same gig "oh, we'll setup a meet and greet" Blah..blah.. bah.. The dog is still up for adoption and so far no contact. I have contacted the recuse twice and it's the same story "we'll call you back". I have to wonder if many of these fosters get duped into the "foster" gig and then get stuck with the dog long term? This experience with dog rescues has given us nothing but a negative experience. Yet, I bet I can go by one of the big box pet supply stores and the same rescue will be throwing a dog in my arms. Unfortunately, a lot of rescues have more love for animals than they do for people. There's nothing wrong with a GOOD rescue, breeder, or shelter. There are just bad (ie, non communicative, rude, unethical, overly judgmental, etc.) ones too. My last experience with them was over 12 years ago and I'm not without complaints... But like a lot of shelters, they let people walk in and walk out with an animal the same day if it's a good match (assuming this part hasn't changed). That's the words I was looking for, "non communicative, rude, unethical, overly judgmental". As a matter of fact I had one rescue tell me that until we spent the money on fencing in our yard we our application would not be considered. Oh, okay, so we are going to spend a few thousand dollars on fencing in a yard to be "considered" to then only have to deal with more judgemental crap meanwhile I have five parks around me with specific gated areas for dogs to run and I can take the dog on daily three to five runs each afternoon? I figure after a daily five mile runs and two 2 mile walks most dogs would be snoozing away if not look at me and tell me to take a hike. Keep trying. Check Petfinder and fill in applications every day. Heck I'm a stay at home mom, we have a fenced yard, an old cat and an old dog, and I didn't even hear back from 3 rescues 2 years ago when I was looking for a puppy! It's extremely frustrating, so I hear you. That being said... I would really consider fencing your yard. It makes life so much easier when you have a dog. Sometimes you're sick and you really can't deal with taking your dog for a walk on a leash. Something else you could consider - contact quality lab breeders in your area, they sometimes have retired dogs looking for homes. That is true when a person is sick a fenced in yard is helpful or when it is brutally cold out given that we still live in the North East. Yeah, I was thinking about contacting quality breeders to see if they have a retired dog that needs to be re-homed. Oh, okay, so we are going to spend a few thousand dollars on fencing in a yard to be "considered" to then only have to deal with more judgemental crap meanwhile I have five parks around me with specific gated areas for dogs to run and I can take the dog on daily three to five runs each afternoon? I figure after a daily five mile runs and two 2 mile walks most dogs would be snoozing away if not look at me and tell me to take a hike. Yep. 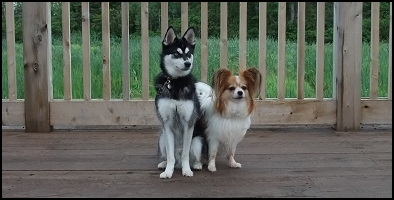 I had two small but energetic dogs in a bachelor apartment, and they got more exercise than many dogs with a big fenced yard do. We walked for at least three hours every day, usually in a gorgeous, wooded, 400-acre park. I'd often play ball with them in a fenced baseball field as well. Your commitment to exercising the dog matters much more than what your yard looks like. Honestly, at this point I'd suggest either a shelter or a good breeder. Shelters are typically less picky about where the dog goes (although of course they do care, they're not going to turn you down over working like a normal human being). Breeders often have young adults they held back for breeding but that didn't turn out for whatever reason, or have retired breeding adults they'll place for a lower price than a puppy. A. It allowed us to speak with people representing the orgs about the dogs and it helped us zero in on what we do and do not want regrading a breeds personality, drive and exercise requirements. C. We dd visited two local shelter and it ws not a good experience. However, we plan on visiting a few more local shelters. So while it has been frustrating it has also been educational. Well I had a great response from a rescue org today regrading a dog we considered adoption. What was the response regrading the dog. "We don't have time to discuss him". am sorry about that. Am totally disqualified because I leave my dogs intact. Not even considered to take in seniors out of kill shelters. You might try looking into breeders.. I have a retired fully finished and working titled adult male from a kennel. He could of gone to a lot of breeding kennels to make puppies and she could of gotten a lot of more money for him. Owner wanted him to retire and go to a family home. And that is how he came to be with me at 4.5 years old. I adore him good luck with your search. don't let the disappointments jade you, it leaves room for the dog that really needs you..
1. We adopted our first dog from St. Hubert's in NJ, I think they have multiple locations. We had a good experience with them but it was 15 years ago so perhaps take it with a grain of salt. 2. We have had wonderful experiences so far with Big Fluffy Dogs rescue, and they will adopt out around the country. Otherwise, this all sounds frustratingly familiar. I also love it when rescues say you can't adopt X breed if you don't have experience with the breed. I get it in theory, but how's anyone supposed to get experience when all ten shelters in the area have the same rule?! When we adopted our dog, Sebastian, we came VERY close to adopting another dog. Our application went through and we set up a meet-up. I called to confirm the time right before leaving and they said "Oh, Fluffy? He was adopted yesterday! Sorry!" I was crushed. It was the closest we had gotten to an actual adoption and was the last of a long string of frustrations. I very nearly gave up. The very next day I laid eyes on Sebastian's photo, rocketed in an application, and two weeks later we had our puppy. He could not have been a better fit. It all worked out in the end. My point in telling that story is just to say that I think a lot of us who rescue recognize at least one of these points, or the whole darn post. Yet the vast majority of us eventually manage to end up with dogs who were worth all the trouble and frustration and uncertainty. I am not a particularly religious person but I firmly believe that the dogs you have been unable to adopt so far were, by definition, not the dogs for you. I have faith you will eventually stumble upon a dog you want to adopt and be shocked at how smoothly and quickly it goes. Please don't give up. Despite what these types of rescues may lead you to believe, all those dogs need a home. One of them will need yours and everyone-- dog, rescue, you-- will be glad you were in the right place at the right time. PS: I say this in the nicest, most sympathetic way I can, but I do want to point out that the dog you describe-- a calm, friendly, house-trained, extremely-popular breed-- is almost a unicorn. It's not impossible to find such a dog at a shelter, but that's exactly the kind of dog that many, many, many people will be looking for. Any flexibility you have on the type of dog you want (perhaps a friendly, calm, house trained adult of another breed? Or a black lab? black dogs have a hard time with adoption) may help speed up the process. While the responses you are getting from rescues are RIDICULOUS and don't really have anything to do with this, I do think it's paramount to understand that if you are rigid about those wants, it's not super surprising that it might take a while. Last edited by Bash-full; 11-27-2018 at 01:37 PM. Where I live, it certainly has gotten harder to get what I call 'a good used dog'. For my previous dogs, I just drove to the local shelter (aka dog pound) and picked a dog. At the time, it was always a german shepherd and I either got my breed of choice or a beautiful mix that satisfied heart and soul. None of them were 'problem dogs'. This time around, not so much. I am still picky, this time I wanted under 50lbs herding group mix. In that category, I kept find the same, needs experienced home, human & dog reactive (more than the usual) gorgeous cattle/acd mix. Instead I ended up putting my name in for a Dominican Republic dog (international rescue) that looked like a small white gsd-mix. And.... I got rejected. No fence, no dog. But, but, but...my husband phoned the rescue had a chat and three months later (it takes time to do matching, fostering, transport) I got the speedy thing in my sig. To make a long story short, get personal. Have a nice chat, show up for adoption events, talk in person (best) or phone. The rescue I went to definitely has dogs that fit in. Pm me if you want their name, you can lurk their fb group. I'm guessing if you take an interest in them (or follow another rescue & show some direct interest) some of those hard fast rules (like 'no fence-no dog') might fade away. They need to get to know you before considering making an exception. I lurk there all the time, turns out bc looking dogs are not that common, so I got lucky. I like lurking just because they do everything right (which includes education in country of origin, outreach & free vet care to keep wanted pets in the country of origin). One caveat regarding 'no fence'. I don't have a fence either, but I do have access to unlimited 'off-leash' trails; the training to get a dog ready to enjoy all that is not easy, and getting a leashed-only dog exercised without a fence especially if they come with any issues (and no dog is perfect) is not easy, and that's when you'll wish you had a nice huge fenced in yard, but hey, life isn't perfect or easy. Sorry about the book, but, you know, given the canine I live with, it's a topic close to my heart. I also have three lovely cats. Sounds like there's a lot of vitriol here towards rescues. I support rescue over breeders (already I'm unpopular, I know) as there are too many homeless dogs and a pet overpopulation problem. That being said, there are some rescues that are too overzealous in their attempts to find the perfect home. I wanted to rescue a St. Bernard (I have Abby, so I did, obviously). The first rescue turned me down because Mija was 5 lb Chi. There was no meet and greet, just firm rules. I was disappointed, but found a different rescue and found Abby! We did a meet and greet which worked out great and here she is with us! I understand it can be frustrating, but look into rescues that transport as well. They might not be right next to your area, but transport often has regional reps and people who will work to get a dog where he or she needs to be. Is there really a dog overpopulation problem, though? Does America have enough dogs for all the people who want one? Last edited by Crantastic; 12-15-2018 at 04:33 PM. That's...interesting. I'd like to see more recent articles and numbers, honestly. I know though that some dogs get adopted VERY fast though... you know, the friendly/loves everyone kind. Last edited by Francl27; 12-15-2018 at 06:01 PM. There's a lot on google about the number of dogs being imported to meet the demand. And more stuff like the distemper and other disease back in the country thanks to overseas importing of those dogs - google's helpful. There are still pockets in the US where there are a lot of dogs in shelters. The problem is, those are usually specific breeds/mixes who aren't exactly desirable to most people looking for a dog. Ie: EVERY DOG in my local animal control right now is a pit mix. And, I'm sorry, while I'm sure they're good dogs, lots of people who want a dog aren't equipped to handle them, for a number of reasons. Like weight limits, insurance restrictions, or landlord restrictions. Or even just being a multiple dog home and most being dog selective or aggressive and only being available to no other pet homes. That's a big old gaping hole in the 'overpopulation' theory. The idea that you can go on pure number of homes available vs dogs or 'number of dogs euthanized'. Some dogs shouldn't be adopted out, to start with, and even barring that when the dogs available are not matching the homes available, it's not real useful to tell people to adopt. People who's insurance will dump them, or landlord will kick them out, or who have other pets are the homes available, and the dog is one that is banned, restricted by insurance or landlords, or needs to be an only pet it just isn't going to work. Think we need a national registry for all pets...... a registry that is all connected. I understand people feel a need to rehome /return dogs that are not a good fit for their household and they may need to rehome / return several to find that right one. The dogs really need to be kept track of and the owners be accountable of where they are. Need to weed out repeat offenders of discarding just to discard for lazy, lame reasons, only to do it to another animal again and again. Sounds like there's a lot of vitriol here towards rescues. I don't think a single person here has anything against "rescues" (or shelters, for that matter) as a concept. The problem is there are poorly funded and poorly managed rescues out there. There are people who complain about overpopulation in one breath then deny adoption from a suitable home in another breath, simply because a rescue may have absurd adoption requirements. I have seen registered "rescues" with numerous dogs penned outdoors in a dirt pit, and dogs stacked in cages on top of one another (I know this because years ago I went and adopted a dog from this so-called rescue, who was later shut down). I have seen shelters hold onto perfectly adoptable dogs simply because they didn't think a certain adopter was 'good enough'. Heck, I work in a shelter and have been in animal welfare for a few years. There are a lot of problems in many organizations. This does NOT discredit any organization from the tremendous amount of good and compassion they possess as well. I support the mission of adoption and spay/neuter. I have an unaltered dog from a breeder, too. However, blanket statements like "adopt don't shop!" "rescues are better!" are emotionally driven and do not actually address real issues. There is no general, country-wide overpopulation problem. My shelter's adoption rate is over 99% this year. We take in dogs from all over the country, or else we'd have pretty empty kennels most of the year. Shelters in surrounding areas are transferring dogs from Korean meat farms (I have opinions. But whatever...) and other causes. Meanwhile, euthanasia rates are high in Southern California, in the South, etc. But fact is, overpopulation and high euthanasia rates only exist in certain parts of the country. In fact, the USA is projected to be no-kill (ie, live release rates 90% or higher) in a few years. I'm not saying pet overpopulation isn't an issue, because it is - in some areas. But pet overpopulation issues are indicative of larger societal and socioeconomic issues. The answer is not just to adopt out more animals, but building community health (s/n, vaccination, providing resources for impoverished communities, etc.). So, I love me a good rescue, a good shelter, a good breeder. ALL of the good ones (and even a lot of breeders) are involved in the bigger picture and do more than just adopt out animals. And I would argue that these days, it is no longer enough for shelters to just keep animals alive and send them out. If year after year, the intake and release rates are the same... The big picture is not changing. Some rescues make applicants jump through so many hoops and these potential adopters become discouraged. I lucked out with my first ever dog as an adult. Found him at the local animal shelter and we left with him that day. He was my soul dog and lived for almost 13 years with me. When I was ready to open my home and heart to another dog, I wanted to rescue a Belgian Malinois and found a girl I really wanted to meet! She was located one state away and vision impaired. (My other dog was blind and I thought I would be good for her!) The rescue denied me because I didn't have breed experience, and that of course is their ability to deny anyone. They wouldn't even listen to my experience regarding blind dogs. I got lucky and found a great rescue in my city that was very responsive and had a puppy for me to meet. This rescue was so accommodating and absolutely wonderful! The adoption was finalized and that rescue is partnered with a training facility and offered one year of free OB classes. It would be nice to see more rescues be so helpful and open to discussion. Last edited by Daemien; 12-26-2018 at 05:48 PM.